Prior to my backcountry off-road trip last weekend I downloaded map tiles for the area I was planning to run and I clicked Save when the download was Colette but it did not prompt me to name the map (soI assumed it was using some internally generated name. When I was ready to start using the map for my trip, I started LeadNav and it showed that all the map types I had downloaded were now showing up as in the cloud and not local to the iPad. I had to download the cloud image of the map and then it hung once it got to 93% complete. Bottom line it felt like the software was still a little buggy. It's not clear how how the save should work for a downloaded map since it did not prompt me to name the map. Also there seems to be no record button in your software to record a track. I understand that the GPS puck you recommend has a physical button to enable data logging but why can't the software enable recording without having to fool with the GPS puck? Selected Map tiles are saved at the zoom level and size to your devices Cache Store under that Map type. They automatically display when off the grid out of cell range. If you only saved tiles at say 16 zoom...17-18 zoom would be blank in the field. Also be sure to select that Map type to see it. You can test this by saving your map tiles then switching to Airplane mode. Go to the area you saved and confirm they are there. The Track Recording button is in the Menu. Red button at the bottom records your track which later can be converted to an editable and unable route. Make sure other apps are closed when downloading so all your device power is available for this process. I forgot to put it in Airplane mode. Thanks! 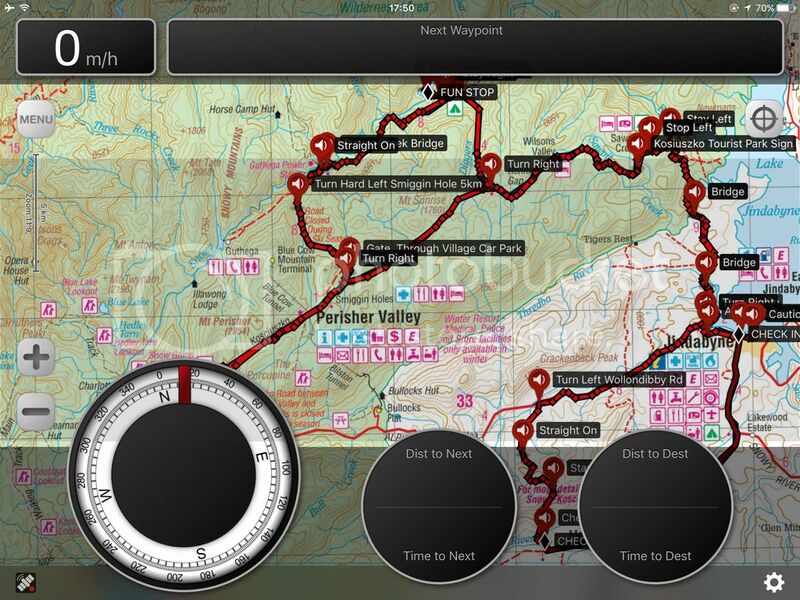 I am testing using LeadNav for off-road navigation and exploring. Currently I am using a detailed MBtiles map set from offroadgpsmaps.com that shows off-road routes throughout California. When using them with LeadNav, they lack sufficient zoom capability to make them very useful. I'm using the same map set in Galileo Pro, and it does not have the zoom limitation, nor does my Lowrance when using the same map set in it. Why does LeadNav limit the zoom level, and is there something that can be done to fix it. First off..were actually excited to hear of someone utilizing mbtiles. You are officially the first we've heard of outside our direct training and support. We utilize them all the time for our larger trips as we build and scrape them ourselves utilizing MOBAC. I'm very interested to get ahold of these mbtiles you are using to see what's going on. I'm guessing they were built to a lower zoom but some of the other apps might allow you to zoom past that fixed level. With this info and those mbtiles we can have that probably tweaked pretty quick. We build our mbtiles down to zoom 17-18 so in LeadNav you have them all the way down. We'll just have to turn the "governor" off. Link us to those files, we will take a look, make a change and if you would like we can push a beta to you to try out! We're on their website and going to contact them to dig into this further! Will keep you posted. Thanks for looking into this. 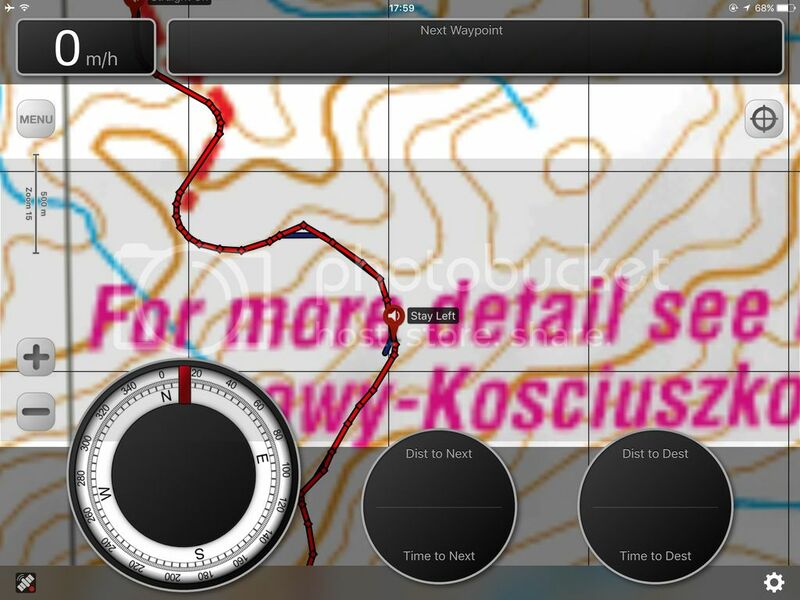 Have you made any progress on using mbtiles with LeadNav and getting a better zoom. I believe Lee from californiatrailmap.com was going to reach out to you. He is a wizard with maps and could be a good resource for making your product even better and more useful to more people. On another point, I echo many others who want larger waypoints and multiple track colors. Thanks! We did talk to Lee and I believe the difference is that the maps are not made at higher detailed zooms so what they do is just zoom past the last tile. Our dev team is currently working on Android but this will be added to the todo list. Route coloring has been on that list already. The very next thing on our list though...which is high priority for every group out there...is Cell and Iridium satellite Positional Tracking between your group. I have had great success with converting raster Ecw images into mbtiles. 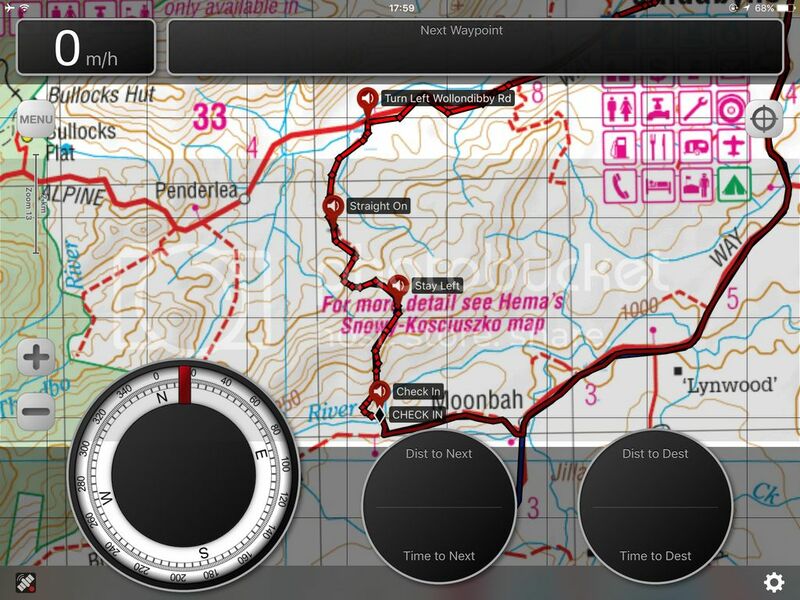 The process using maptiles is easy and Australia has many maps available in this format. Has there been any updates to LeadNav to allow overzooming on MB tile maps? Really like the application, but it did not zoom enough for proper navigation with the map database I would like to use.